Thrills and Top Seed Spills at the #ROXYpro France Quarterfinals. As the field narrows down to the final four females in France, anticipation and excitement is growing as to who will be crowned the 2015 #ROXYpro Champion. The quarterfinals kicked off with Australian, Tyler Wright and local hero Johanne Defay facing off in Heat 1, with the deciding score coming down to the final moments when Wright scored a 9.50 on a glassy righthander, progressing through to the semis. Heat 2 saw Californian, Sage Erickson surf against Hawaiian Coco Ho. Sage took the win with a 14.17 to Coco’s 12.40, and one of her best results on tour this year. 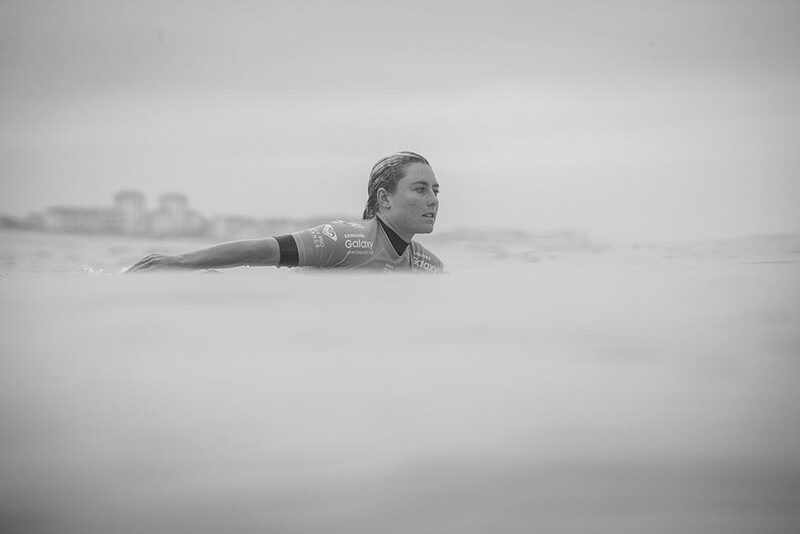 Two-time World Champion, Carissa Moore met in-form Australian surfer, Nikki Van Dijk, in what was the highest scoring heat of the day. Although Van Dijk scored an impressive 9.07 in the last minutes of the heat, Carissa’s powerful final wave saw her through to the semifinals and also regaining number 1 position as she heads into the final event of the year, the Maui Pro. In the final upset of the day, Hawaiian and tour rookie, Tatiana Weston-Webb claimed a place in the semifinals over Australian, Sally Fitzgibbons, with a 15.06 to Sally’s 11.23. Tune in tomorrow at 8am (local time) for the semi-finals and potential final of the ROXYpro France and don’t forget follow us on Instagram, Twitter and Facebook.